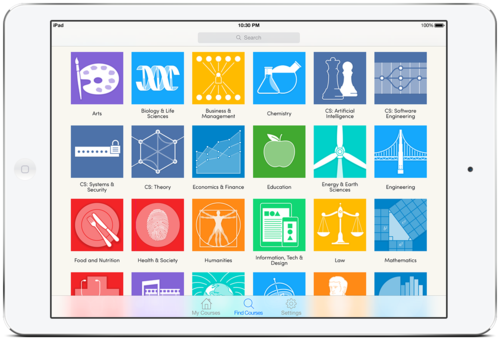 Hey iPad users, we’re excited to announce that the Coursera App is now available on your iPad! This will bring the experience of our existing iPhone App to your tablet, allowing students to learn on-the-go, with the added benefits of a larger screen. For now Courserians seeking to participate in the discussion forums, read supplemental materials or complete assignments must visit the Coursera website, but look out for updates on these features later this year. Android users, we’ve remembered you! We’re working hard to build a great experience on Android, so stay on the lookout for our next app release in the coming months. Beyond Coursera’s mobile app experience, we’re continuing to develop new and improved ways for lifelong learners everywhere to master new subjects and reach for their academic and career goals. Review us in the iTunes store! Your feedback helps us make the product better.